Ballia is a city and a municipal board in the Indian state of Uttar Pradesh. It is situated in the easternmost part of the state and share borders with Bihar. The city lies at the junction of two major rivers, the Ganges and the Ghaghara. It is situated at a distance of 140 Km from Varanasi another popular city of the state. Its primary local language is Bhopuri which is a dialect of Hindi. 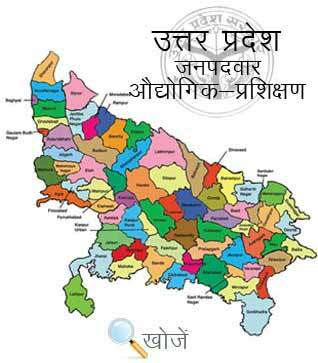 Due to the significance contribution to the Indian Independence Movement, the state is also known as Bagi Ballia. The city has quite high literacy rate. According to the census of 2011, the literacy rate recorded over here is 83.33%. It has several reputed colleges that provide higher education to the youth. Some prominent one includes MaaKasturi Devi Degree College, Kisan P.G College, Dooja Devi Mahavidyalaya, Gandhi Mahavidyalaya etc are few among many imparting graduation and post graduation level courses to the students. To impart technical skills to the youth so that they can become skilled workers in future and earn handsomely the town has a Government Industrial Training Institute at Rasra district of Ballia. Vyavasayik Pareekha Parishad in the state of Uttar Pradesh is responsible for conducting the entrance examination for admission to various engineering and non engineering courses in Industrial Training Institutions. Its official site is www.vppup.in. Apart from this students can also visit www.upiti.in which provides them all the necessary information regarding online admission, checking of result, counselling dates, courses details etc so that they get enrolled in their choicest course. 42 Kakashamlal Private ITI , Pachandrha Taribadagaon, Balia U.P.